Zenith | 28'900 € Tax inc.
With its powerful 44 mm titanium case, Defy El Primero 21 becomes the master of extreme precision. The world’s most accurate series-made chronograph in 1969 enters a whole new era. 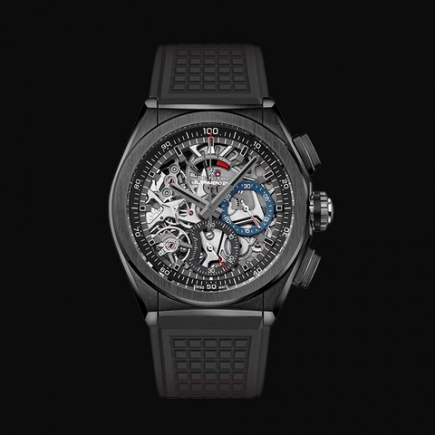 Swiss watch manufacturer Zenith has a century and a half behind it and is resolutely taking its place in the third millennium with a new 100th of a second chronograph movement. While remaining true to its legendary roots, the 21st century Defy El Primero flaunts standout performance: a certified in-house movement driving a hundredth of a second display by means of a central hand, with its unique and exclusive dynamic signature of one rotation per second. Its double-chain structure is based on two regulators, made of Carbon-Matrix Carbon Nanotube composite, a patented new material that is insensitive to magnetic fields and temperature gradients to a degree well above existing norms. Representing the aesthetic, visual and audible signature of the new Defy El Primero 21, its central chronograph hand performs a full turn of the dial in one second. This simple, immediate and direct reading of the hundredths provides an opportunity to grasp the reality of the second being measured. The frequency reaches an impressive 360,000 vibrations/hour ensuring its hundredth of a second precision, and energy consumption is ten times higher than in the original. 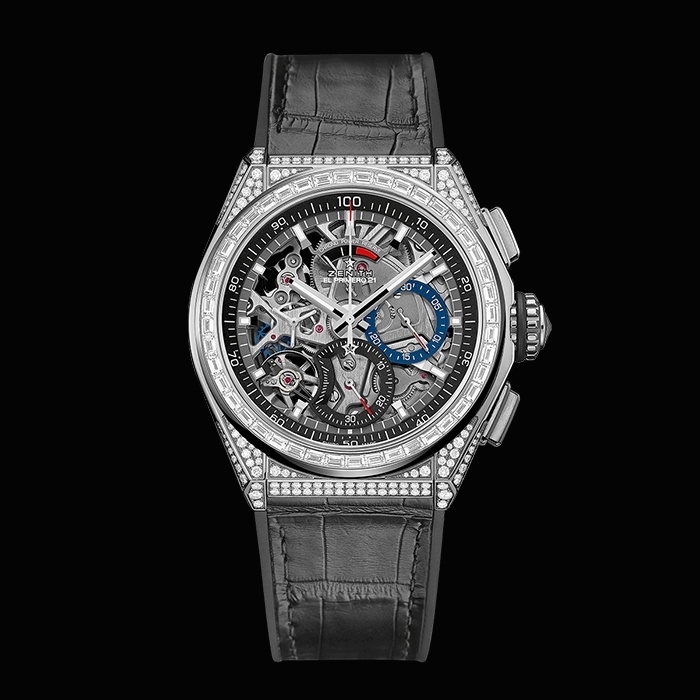 Another unique characteristic stems from a determination to avoid any risk of the chronograph interfering with the smooth running of the watch: the Defy El Primero 21 is therefore equipped with two independent “gear boxes”: one for the time and the other for the chronograph. Each has its own transmission and escapement system and there is no coupling clutch. In tribute to its historical roots, the watch balance oscillates at the already high frequency of 5 Hz – the famous 36,000 vibrations/hour characterising El Primero chronographs since 1969. A precision instrument as it has always been, the automatic watch movement is chronometer-certified and has a 50-hour power reserve, matched by a 50-minute autonomy for the hundredth of a second chronograph. 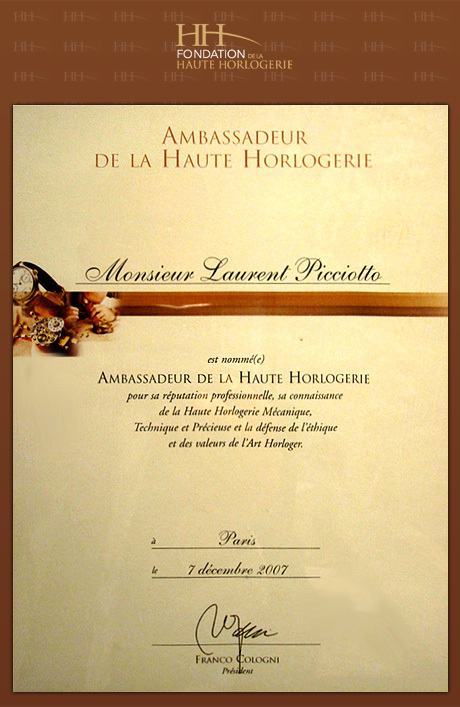 When in 1865, Georges Favre-Jacot grouped under one roof the entire range of watch industry professions that were generally scattered between various workshops, the youthful and visionary Zenith founder was creating the first industrial watch manufacture. This spirit of independence and integrated skills takes on its full significance with the new El Primero 21 movement, in-house made and remarkably equipped with its own patented balance-springs. Gravity, temperature and magnetism, the sworn enemies of precision, are thus completely neutralised. This new-generation twin-barrel El Primero drives central hours and minutes functions, small seconds at 9 o’clock, a 100th of a second central chronograph hand sweeping around a scale on the circumference, a 30-minute counter at 3 o’clock, seconds and tenths of a second at 6 o’clock, and a percentage indication of the chronograph power-reserve at 12 o’clock. 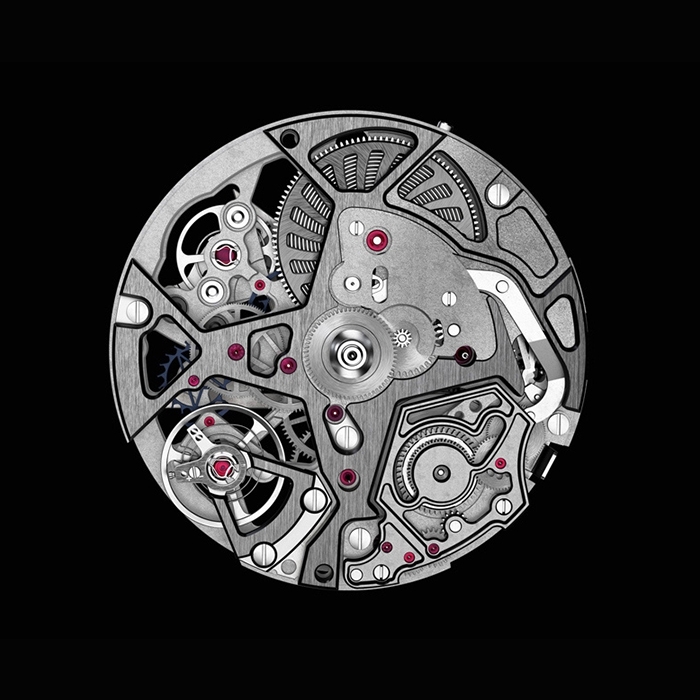 Performed via a crown with two positions (for winding and time-setting), manual winding works in both directions: clockwise for the chronograph, counterclockwise for the watch. 25 turns of the crown are enough to obtain a 100% charge of the chronograph barrel. An oscillating weight with a star-shaped openworked oscillating weight handles one-way automatic winding of the watch function. The Defy El Primero 21 embodies the new generation of Zenith chronographs, based on contemporary mechanics endowed with an unprecedented visual, auditory and dynamic identity. It proudly represents the tradition of a manufacture with longstanding expertise in chronometry, while incorporating the latest technological breakthroughs. This know-how is expressed through an impressive design – with a 44 mm-diameter case in grade 5 titanium – inspired by the original El Primero models. Equipped with a fluted crown and chronograph pushers, the case with its short lugs displays alternating brushed and satin finishing, while its rubber strap with a leather insert is secured by a double-blade folding clasp. Epitomising the face of the new Zenith range, the openwork dial reveals an elegant contemporary décor. A star-tipped sweep-seconds hand, large luminescent baton-type hands and facetted hour-markers: all the key identifying characteristics of the El Primero are there, along with counters picking up two of the colours – blue and anthracite grey – gracing the legendary 1969 chronograph.